We’re sad Summer is coming to an end so what better way to reminisce than to share what we’ve been up to?! 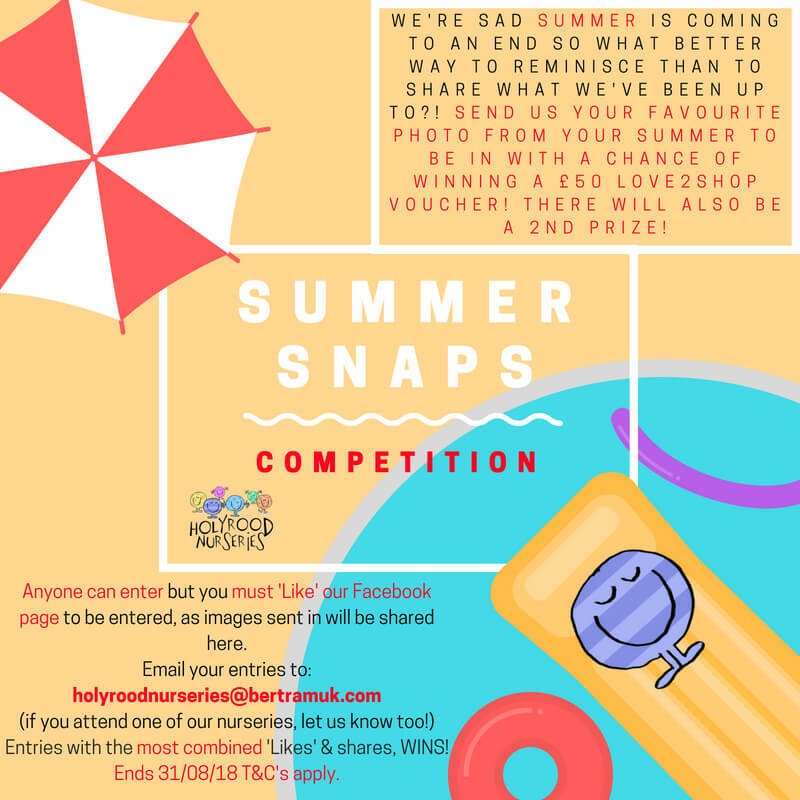 ☀️ Send us your favourite photo from your Summer to be in with a chance of WINNING a £50 Love2Shop Voucher! There will also be a 2nd prize! Entries will be shared to our Holyrood Nursery Group Facebook page and the entry with the most COMBINED ‘LIKES’ & SHARES, WINS!